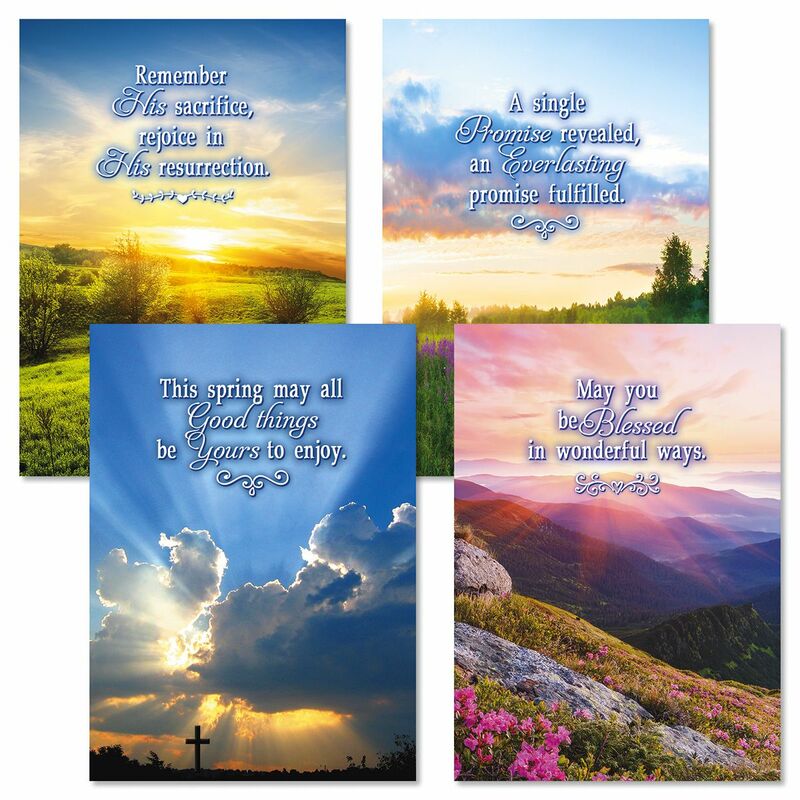 Give the message of hope this Easter with this set of religious greeting cards. Cards are 5" x 7" come with Scripture and includes white envelopes. Printed in USA. 1. Front: Remember His sacrifice, rejoice in His resurrection. Scripture: And this is the promise that He made to us: eternal life. 2. Front: A single Promise revealed, an Everlasting promise fulfilled. Do not be afraid, for I know that you seek Jesus who was crucified. 3. Front: May you be Blessed in wonderful ways. Inside: ...at Easter and always. Scripture: Jesus said to her, I am the resurrection and the life. 4. Front: This spring may all good things be yours to enjoy. Inside: Have a wonderful Easter.